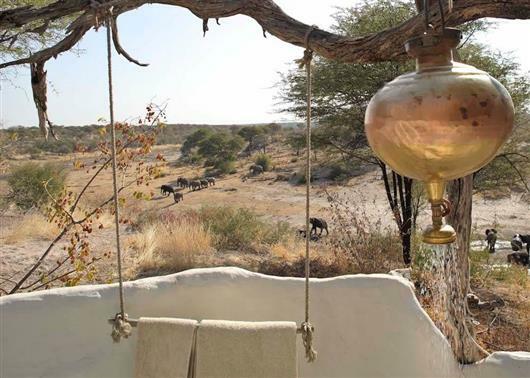 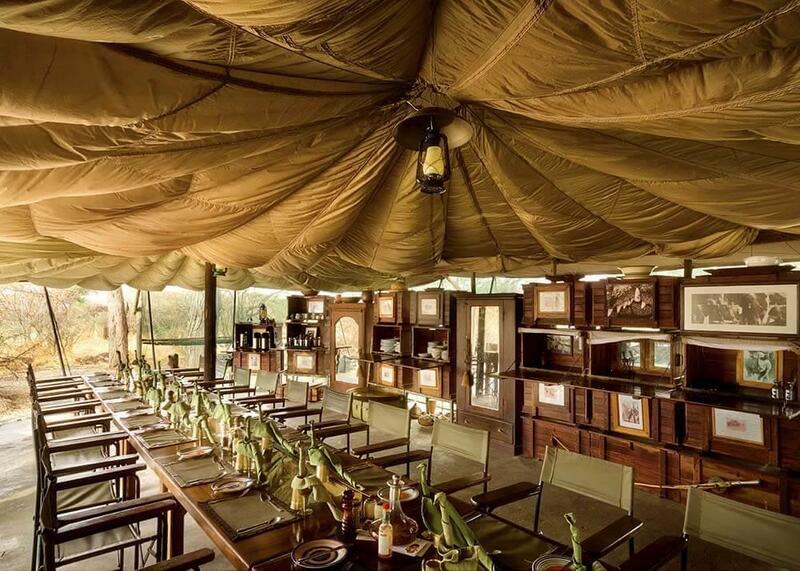 Midway between the Botswana’s extraordinary Okavango Delta and the spectacular Central Kalahari Game Reserve, Meno a Kwena tented camp provides guests with a unique African wildlife experience. 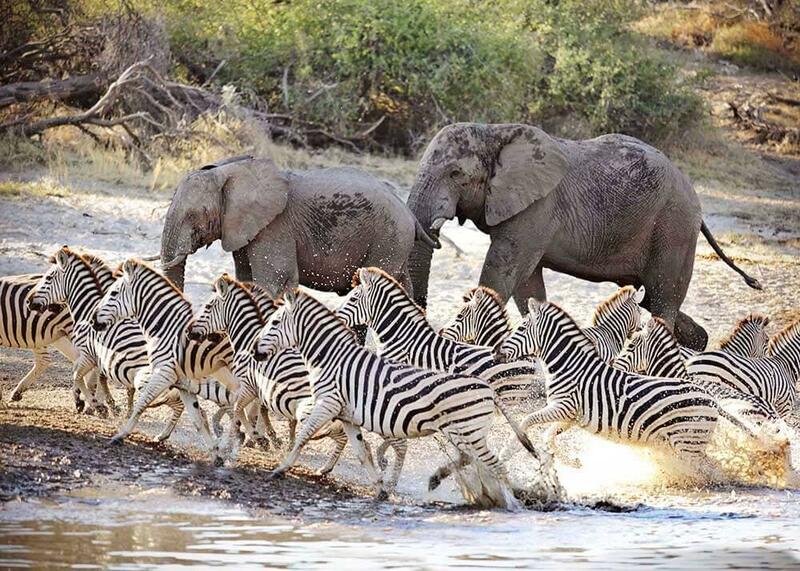 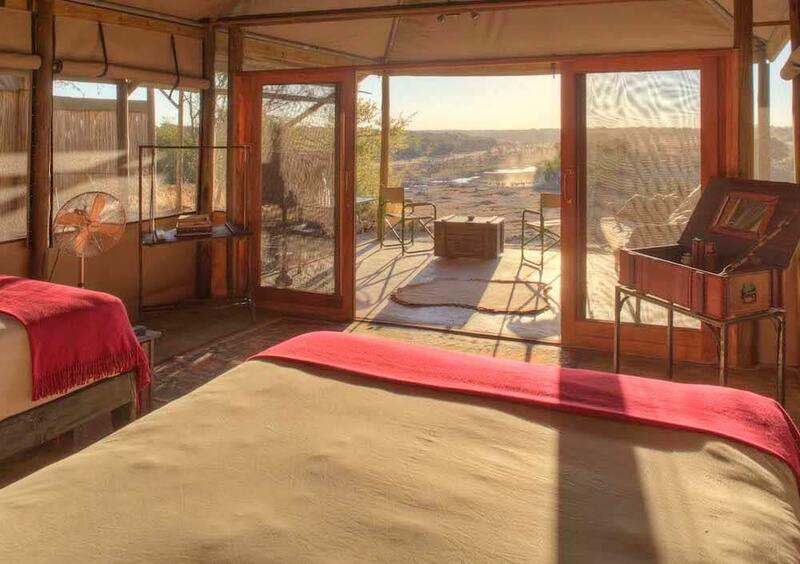 Nine luxurious guest tents, all with ensuite bathrooms, overlook a river often flooded with elephants and other animals – so you can watch game without leaving your bedroom! 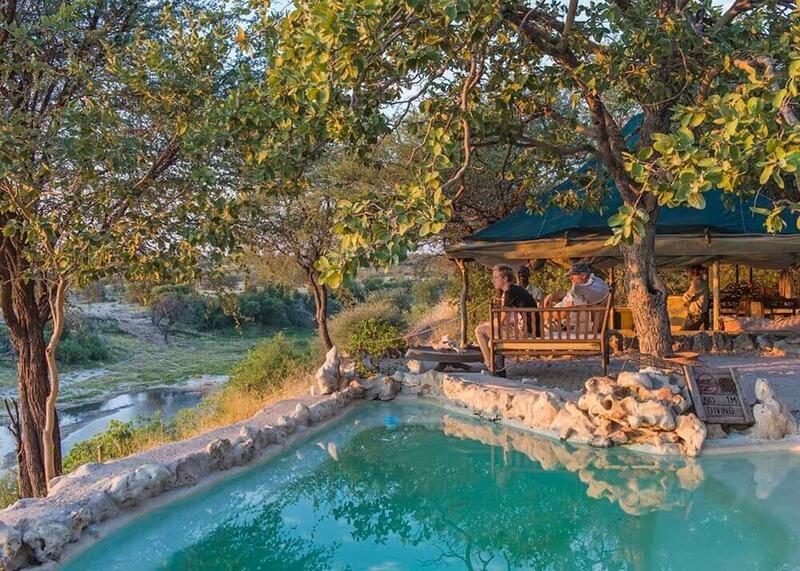 There is also a wonderful natural rock plunge pool and luxurious central area overlooking the scenic Boteti River and wildlife in the national park.